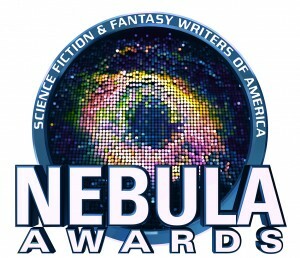 The 2014 Nebula Nominees have been announced! -We’ve got a nice array of publishers here, compared to last year’s heavily dominated Tor/Orbit slate. The ones I’ve read so far are The Goblin Emperor, Ancillary Sword, and The Three-Body Problem. Perhaps not coincidentally, they’re also the ones I’m betting on as front-runners, but we’ll see after I’ve read them all. The Goblin Emperor especially is fighting an uphill battle, given how sci-fi dominated the Nebula (and Hugo) tends to be, but it’s good enough that it stands a serious chance. The Three-Body Problem is one of those rare translated books popping up on the list, and is actually the first Chinese science fiction novel translated into English. (I did a review, though due to changing financial circumstances, I’m missing out on Worldcon this year like I’d planned.) The weird thing this year, though? There is exactly one stand alone novel, and that’s The Goblin Emperor. Literally everything else is part of a series. Weird. – I totally read novellas last year. Totally. – I think I’ve heard of one or two of these. -Yeah, I don’t really read much short fiction, gotta be honest. -This one is really Birdman’s to lose. Who knows, though, this one has gone weird directions before, and will again. -Haven’t read any of these, but then, I tend to be notably terrible at picking YA winners. Posted in Nebula Award and tagged Ancillary Sword, Ann Leckie, Annihilation, Charles E. Gannon, Cixin Liu, Coming Home, Jack McDevitt, Jeff VanderMeer, Katherine Addison, Nebula Award, The Goblin Emperor, The Three-Body Problem, Trial by Fire on February 24, 2015 by mountainwashere.